One of the most common pieces of equipment that you will come across in any household is the air conditioner as well as the heating. They are both often labeled with faults which are untrue. This is indeed one of the most well-known myths that stem from the fact that air conditioners bring down the temperature. While low temperatures leave the body vulnerable to disease, colds are often a result of virus infections. The best way to avoid catching a cold is by observing personals hygiene such as washing your hand before eating and also keeping the environment inside your home clean. Ceiling fans are not just for lowering the temperature of the room. They can also assist in the heating of the room. By switching it to run clockwise, the warm air which is lighter and tends to rise will be pushed back down. This helps the heating work more efficiently. It is easy to believe that the fireplace will help to raise the temperature of the room. While this is true, most the heat is actually directed up through the chimney. Avoid turning on the heater together with the fireplace. The heater will have most of the heat taken by the fireplace and directed towards the chimney which will raise the energy costs. This is yet another myth that is simply not true unless the AC comes with adjustable speed air handlers. There are only two settings on an air conditioner—on and off. If you were to lower the temperatures, the AC will continue to run until it reaches the preset temperatures. The opposite is also true. Raising the thermostat to a high level does not mean that the temperatures will rise faster. It is thus important to avoid leaving the air conditioner running at the lowest temperature as this will cause the equipment to try and attain the temperature which you have set resulting in an increase in energy costs. The best option is to put a reasonable setting which the equipment will easily manage. Once it quickly gets to this temperature, it will simply stop running. People believe that a programmable thermostat is more energy efficient. There is truth in this. However, it does depend on how you program the thermostat. The wrong setting will cause the AC to run for longer which may result in the energy consumption to rise significantly. This is not necessarily the case. Larger equipment often needs more energy to perform at optimum capacity. If the size of your room is small, it will only increase your energy bills. 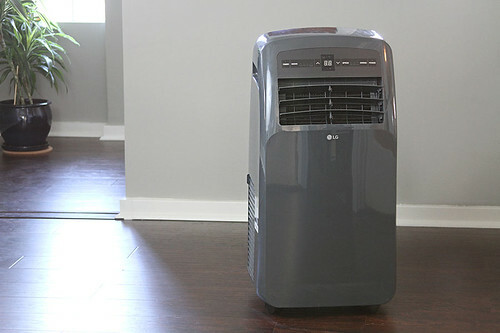 Often air conditioners come in different capacities. For the AC to work to optimum capacity, it needs to have the right type of refrigerant such as the R22 freon. Look for equipment that matches the size of your room. It will help utilize energy more efficiently. If you went out shopping and got the wrong equipment for your room, you may find yourself spending more money getting the right equipment.